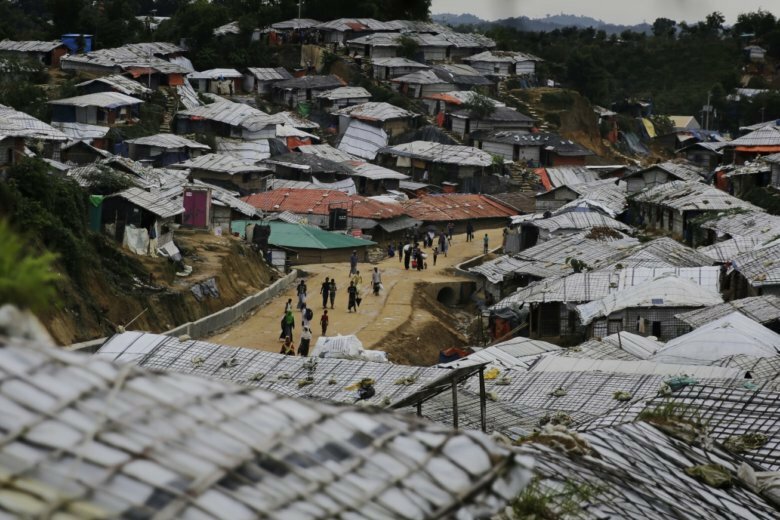 GENEVA (AP) — The U.N.’s top human rights body agreed Thursday to set up a team to collect evidence of alleged crimes committed in Myanmar against Rohingya Muslims and others since 2011, information that one day could be used to prosecute suspected perpetrators. Unlike the fact-finding mission, the mechanism has securing evidence that could be used in pursuing criminal indictments as its main purpose. The resolution establishing the new team was presented jointly by the European Union, led by Austria, and the Organization of Islamic Cooperation, led by Pakistan. China, Burundi and the Philippines opposed the measure. Seven countries abstained from the vote. The accountability body’s work, which could begin in coming months, is expected to cover a massive security crackdown that began in August 2017. Human rights group say it left at least 10,000 people dead and caused hundreds of thousands of Rohingya Muslims to flee to Bangladesh. Thursday’s move paves the way for millions of dollars in U.N. funds to go toward collecting evidence of alleged wrongdoing in Myanmar that U.N.-backed investigators said could amount to genocide and other war crimes. Passage of the resolution is likely to raise pressure on military chiefs and others who might come under investigation for alleged war crimes — making them think twice before contemplating travel outside Myanmar and their possible arrest. While the Human Rights Council’s decision raises the level of scrutiny faced by security forces and other perpetrators, its potential effect on war crime prosecutions is uncertain. Possible venues for any such cases include the International Criminal Court, though some experts view that setting as unlikely because it would require support from the U.N. Security Council, where China holds a veto. Other options might be an “ad hoc” international court or a national court that could claim “universal jurisdiction” to prosecute international crimes. Human rights groups applauded the resolution. R. Iniyan Ilango, the United Nations advocacy program manager at Forum-Asia, noted that the resolution called on the U.N. to look into its own involvement in Myanmar since 2011. The fact-finding mission reported last month that the U.N. had favored “quiet diplomacy” over human rights concerns. “U.N. Secretary-General Antonio Guterres’ silence on this observation is deafening,” Ilango said.